As of 2019, our cost range from $250 to $650 per tooth for surgical wisdom teeth removal. This includes the cost of local anesthesia and follows visits. On average, the patient can expect to spend about $1,600 for four wisdom teeth removal. The cost depends on the nature of the surgical extraction. Intravenous (IV) sedation is available with any single tooth and multiple wisdom teeth removal. Many dental insurance companies cover part or all of the cost of wisdom teeth removal. The average insurance cover about $1,500 towards the cost of wisdom teeth removal. If you are without insurance (no insurance) we have payment plans available that should work within your budget. Unlike the average wisdom teeth removal clinician in the dental industry, we have pioneered wisdom teeth removal with advanced minimal invasive laser techniques in certained clinical cases. We specialize in anxiety-free visit with twilight sedation and general anesthesia. Sleep through your wisdom teeth removal appointment. We take all major dental insurance and offer payment plans options for your convenience. Experiencing life from having wisdom issues it is emotionally exhausting for many patients. When we met our patients in real life, we ask questions to get to know them better. We listen to their past dental work near wisdom teeth, previous dental experience, and beliefs. We try to unearth their dental and life story, and to tell our own as clinicians. The end goal is find out if we can bring these patients back to good oral health by removing their wisdom teeth in an anxiety-free fashion under sedation. In this process of knowing each other during 1-hour consultation we tap into the underlying reason patients lack the room for their wisdow teeth and why they have decided to come to see us– to get to be the best version of themselves. Most dentists will recommend an immediate removal of the wisdom tooth, as early removal so as to avoid problems, such as an impacted tooth that destroys the second molar. According to the American Academy of General Dentistry, third molar impaction is the most prevalent medical developmental disorder. The process of Wisdom tooth extraction or removal is simple and widespread. The gravity of the procedure depends on the number of teeth that are being removed. The duration of the procedure generally lasts for a couple of hours. It begins with local anesthesia being injected into the affected area which makes the place numb and the patients are spared with the sensation of pain. Then the trained dentist removes the bones and gum covering the tooth. After the tooth is removed stitches are required to close the wounds. The number of stitches required varies from person to person. The recovery time is a couple of days after the surgery. Why do wisdom teeth sometimes require removal? Paresthesia, also know as nerve damage: It is a less frequently occurring complication. Wisdom teeth entrapped in the jawbone are sometimes close to nerves. These nerves can be bruised or damaged during the tooth removal process. The result is a numbness (called a paresthesia) of the tongue, lip or chin that can last a few days, weeks, months or may even be permanent. Dry socket: It is a complication of wound healing following extraction of a tooth. It occurs when either a blood clot has failed to form in the extracted tooth socket or else the blood clot that did form has been dislodged. If clotting doesn't occur, healing will be delayed. When it happens, dry socket typically occurs 3 or 4 days after the extraction and is accompanied by pain (ranging from "dull" to moderate to severe) and a foul mouth odor. It will heal and recover with time but your dentist can surely help you out. These usually consist of rinsing the inflamed socket gently followed by placing some type of sedative dressing, which soothes the inflamed bone for a period of time and promotes healing. 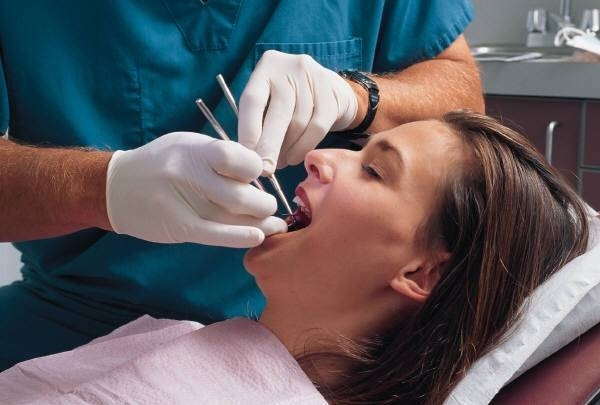 We specialize in intravenous (IV) conscious sedation or dental intravenous anesthesia or to some, it is referred to as "Twilight Sedation" for their dental treatment. Intravenous Conscious Sedation or "twilight sleep" helps you to be comfortable and calm when undergoing dental procedures. Your treatment can be completed under intravenous conscious sedation. Intravenous conscious sedation or "IV sedation” (twilight sedation) is designed to better enable you to undergo your dental surgical procedures while you are sedated; it will enable you to tolerate as well as not remember those procedures that may be very uncomfortable for you. IV sedation will essentially help alleviate the anxiety associated with your treatment. You may not be asleep but you will be comfortable, calm and relaxed. The goal of IV conscious sedation is to use as little medication as possible to get the treatment completed. It is very safe, much safer than oral sedation. With IV conscious sedation, a constant "drip” is maintained via the intravenous tube. At any time an antidote can be administered to reverse the effects of the medications if necessary. Along with IV sedation, there are also other different "levels” of sedation available to you in our office including nitrous oxide gas analgesia.Wisdom teethWhen Should You Get a CT-Scan For Wisdom Teeth Extraction? Taking Xanax before wisdom teeth removal is a common practice to produce clinically significant anxiolysis. Taking 0.75-mg and 0.50-mg doses, but not the 0.25-mg dose, of Xanax, make patients struggled occasionally with recalling words or names. Xanax is given to significantly decrease moderately to high anxiety during wisdom teeth surgery. Xanax has a fast onset of action. Ninety percent of peak effects are achieved within the first hour of taking Xanax and full peak effects are achieved in 1.5 and 1.6 hours respectively. Patients should be cautious when taking Xanax after wisdom teeth removed due to the possibility of increased susceptibility to side-effects, especially loss of coordination and drowsiness. Wisdom teeth payment plans and financing. Should the cost of removing wisdom teeth prove prohibitive for an individual, there are options to consider that can wisdom teeth removal within reach. We have found that LendingClub online application is fast and easy. It takes just minutes, with no impact on your credit score. You can instantly review the loan offers that you qualify for, and you'll never need to visit a branch to complete your application. LendingClub can finance up to $4,000 and more for all four wisdom teeth removal. All LendingClub financing payment plans feature an affordable fixed rate, which means your monthly payment will never increase. In addition, you can prepay your loan at any time and there's never a prepayment penalty or fee. With this type of dental financing plan, patients can break up wisdom teeth removal total cost into a series of affordable monthly payments. Click on the LendingClub logo above-right to find out about a monthly "estimated amount" payment with secure "online payment calculator" options in just minutes by typing in "max arocha" under doctor name to see your payment plan options. When a CT-scan for wisdom teeth removal is needed? A CT-scan provides more detailed information about the position of wisdom teeth and their proximity to nerves and sinuses. While not indicated routinely for wisdom teeth, this type of image is helpful for patients who have severe or deeply impacted wisdom teeth and when your dentist is concerned about proximity to nerves, sinuses, or cysts. Although rare, any irritation to the nerve that passes under the lower wisdom teeth can lead to a period of numbness along the lip and chin area. In most cases, this condition is temporary and resolves gradually in six to eight weeks. Only in rare instances, it may become more prolonged or permanent. Recently, cone beam CT-scan (CBCT) machines like I-CAT have become more readily available in dental offices. With less cost and significantly less radiation, CT-scan is being used more often instead of a panoramic X-ray. Our office is pleased to offer i-CAT 3D Cone Beam imaging for patients receiving wisdom teeth extraction treatment. Come and see for yourself what it's like to receive an advanced, patient-friendly 3D scan. Dental insurance may cover between 25% and 50% of a wisdom tooth removal. Some dental plans cap what they'll pay annually for all dental care at $1,000 to $1,500. Coverage varies by the insurer and policy, so please call our office and have Maria Sherman check your insurance third molars (wisdom teeth) extraction. In general dental PPO insurances, may offer a higher level of coverage for oral surgery including wisdom teeth removal. With DeltaCare® USA, you and your family members must select and visit a DeltaCare USA primary care dentist in order to receive benefits. Under most dental PPO and Premier plans, the plan covers a certain percentage of the cost, but the actual amount you owe depends on the dentist’s fees. For example, your costs may be lower when you visit a dentist who takes PPOs. Some plans cover a certain dollar amount for each wisdom teeth removal procedure using a table of allowance. You pay the difference between the allowance and your dentist’s fee. Prepaid plans have set copayments for each service, so you can calculate in advance how much you’ll owe the dentist. Wisdom teeth removal can be very expensive, especially if you don’t have access to insurance. When your budget is limited, an insurance plan with relatively low premiums may your best option. However, this usually means higher deductibles up to about $100. It's important to know whether your coverage plan is just for preventive dental care like teeth cleaning, but what if you need major procedures like oral surgery. Wisdom teeth removal without insurance cost $250 to $650 per tooth. The cost includes local anesthesia and follows visits. The patient can expect to pay about $1,600 for four wisdom teeth extration. The cost depends on the nature of the surgical procedure removal. Intravenous (IV) sedation is available with any single tooth and multiple wisdow teeth removal. The patient is likely to experience pain and swelling after getting his or her wisdom teeth removed. There may be some bleeding present during the first three days of recovery time. While wisdom teeth extraction site heals, the patient must be careful not to dislodge the blood clot or irritate the healing gums. During the recovery time, the patient should avoid solid foods, alcohol, coffee, soda and hot beverages in the first three days following your procedure. the patient shouldn't even brush your teeth for the first day of recovery. A typical wisdom teeth recovery time is three to four days, although it can be as long as one week. The length of recovery depends on a lot of how badly the wisdom teeth were impacted and how they were coming out of the gums. In most cases, the recovery period lasts only a 5-7 days. From day one, start taking painkillers as prescribed by your dentist. Bite down on the gauze pad periodically for 30 minutes, and change them as they become soaked with blood. Try to relax after surgery. Physical activity may increase bleeding. During the recovery time, there are plenty of things the patient can do to make the recovery time easier on the swelling. Plan on taking it easy for the first two days; patients can resume their normal activities after the first day in most cases, but for about a week they should do anything that could dislodge the blood clot from where your teeth were removed. For the pain, they can take a prescription painkiller given to them by their clinician or recommended over-the-counter pain relievers. To help with the swelling, place an ice pack over your jaw. The cold helps to reduce the inflammation and ease any discomfort. The dentist shall have instructed the patient on how to take care of their mouth for the recovery time period. they may be told to avoid brushing, spitting, flossing and rinsing for 24 hours. After that, they can gently brush their teeth without irritation the swelling extraction site. Rinse their mouth with salt water frequently to help keep it clean and prevent an infection. Stock up on applesauce, yogurt, cottage cheese and any other soft foods. they want to eat a soft-food diet for the first day or more and then slowly move to semi-soft foods when they become ready. The wisdom teeth removal recovery time period can take several days and in some cases, there may still be swelling and discomfort for over a week. Use ice packs, enjoy soft foods and keep your mouth clean with simple salt water. If you notice any unusual symptoms like pus discharge, severe pain or a fever, call your dentist right away. While complications such as an infection are rare, they are possible. As with all wisdom teeth recovery, you are to experience pain and swelling. The bleeding should stop in about 24 hrs. While your mouth is still numb, be careful not to bite the inside of your cheek and lip.During the time your mouth is healing, you should be careful not to dislodge the blood clot at the site at the surgery site(s). Avoid any solid foods, alcohol, coffee, soda or hot beverages in the first three days after the procedure. You should avoid brushing your teeth near the surgical site for the first day of recovery. Do not lie flat on your back. This may prolong bleeding. Prop up your head with pillows. Use an ice pack on the outside of your cheek for 15 to 20 minutes at a time for the first 24 hours. After wisdom teeth removal it is best to rest for two days. Avoid any any work or engagement in heavy physical activity. In general the pain after removal is greater in patients where there is pain and swelling present before to tooth removal. Wisdom teeth removal becomes difficult with increased age. Wisdom Teeth Removal is one of the most common oral surgeon procedures in the mouth. When Wisdom Teeth are removed, when indiccated, it is best to remove all four teeth at once. The pain, swelling and healing from recovery time after wisdom teeth extractions is usually the same whether one or all four of the teeth are removed. Unless there is a good reason, such as severe swelling and infection of one tooth, it is best to remove all four of the wisdom at once. For 1-2 days, during the recovery time, some degree of throbbing and aching pain is normal. These are controlled by pain prescription medications. You may also experience minor bleeding after rinsing, brushing, eating and drinking. Bruising and swelling both inside and outside of the mouth is also normal. However, you would need to notify your doctor if there is significant and persistent bleeding or moderate to sever swelling after the second day. Wisdom teeth removal serving the city of Plantation, Fort Lauderdale, Davie, Sunrise, Weston, Cooper City, Deerfield Beach, Pompano Beach, Miami and Boca Raton.